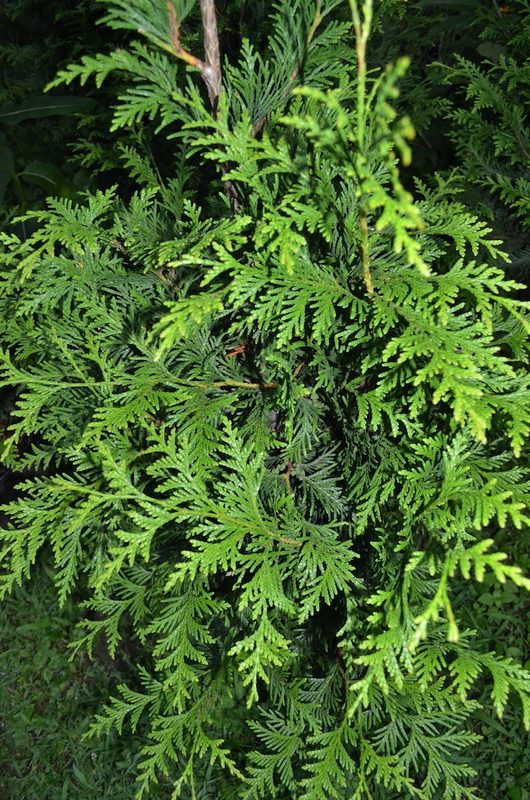 It is virtually maintenance free, as well as pest and disease-resistant, making it a superior alternative to the disease-prone Leyland cypress (x Cupressocyparis leylandii). Additionally, deer grazing does not appear to be a problem for these hardy trees—certainly a beneficial quality for our local landscape plants. 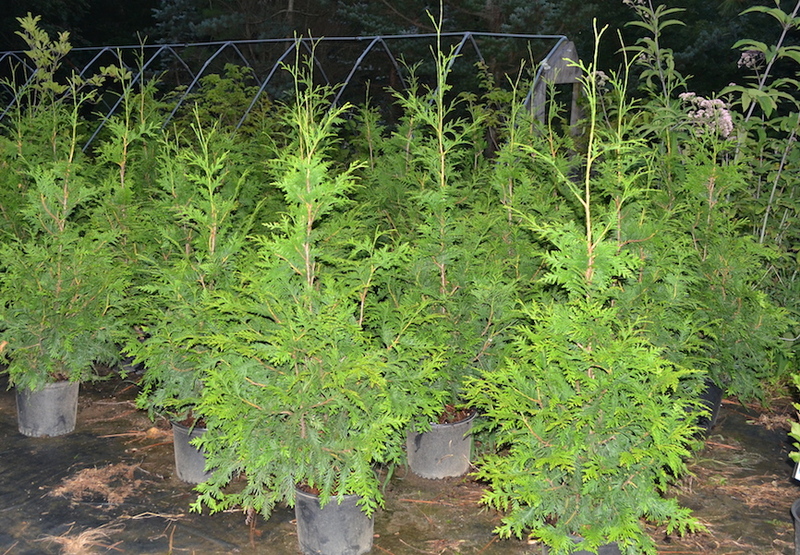 'Green Giant' arborvitae increases in height rapidly, growing 1 – 2 feet per growing season, sometimes more. A hedge row of ‘Green Giant’ was planted on the grounds of the U.S. National Arboretum in 1998. At the time of installation, the trees were 3 – 3 ½ feet tall on 6 ½ foot centers. Ten years later, the trees stand 18 – 20 feet tall and 8 feet wide. Not only have they withstood the winter snow and ice in Washington, D.C., but they have thrived despite the hot, humid, and sometimes dry Mid-Atlantic summers.